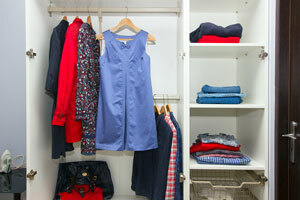 When residents of Huntsville, AL, need custom closet organizers, they turn to the professionals at 31-W Insulation. What makes us one of the area’s most trusted home improvement companies? We’ve been providing remodeling services since 1972, which has given more than enough time to perfect our craft. Plus, we’re 100 percent committed to providing our customers with the high level of customer care they deserve. Discover for yourself why so many of your neighbors have entrusted their home improvement needs to 31-W Insulation, and trust us to install your new closet organizers. And, you can customize your organizers in terms of their appearance to match the décor in each of your rooms. You’ll have your choice of wood/laminate or wire components in an assortment of colors. To learn more about the closet organizers we install in Huntsville, Alabama, and surrounding areas, contact us today and schedule a complimentary consultation.